Looking out of the window of my hotel in Minato, there was a pond behind the building. It took a while to work out what it was but, on the weekend, it was easier to see. This is a fishing pond. It is in between all of the hotels and, even on a hot and steamy day, there were plenty of people fishing. I don’t know what the pond was stocked with and what the rules are once you catch something but I was more taken that this existed at all. 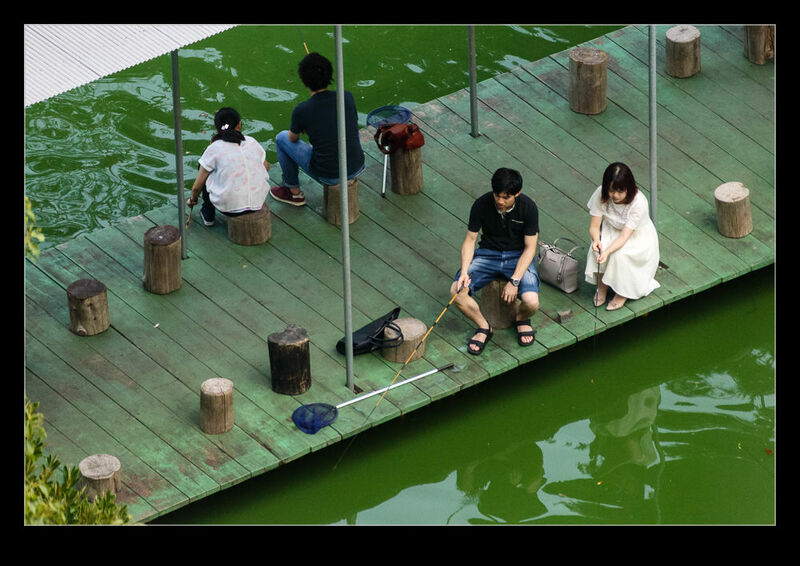 This entry was posted in photo, Travel and tagged angling, city, fishing, Japan, minato, photo, pond, sport, Tokyo, travel. Bookmark the permalink.